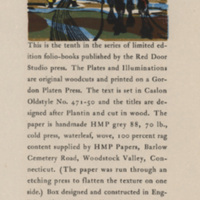 "This is the tenth in a series of limited edition folio-books published by the Red Door Studio Press. 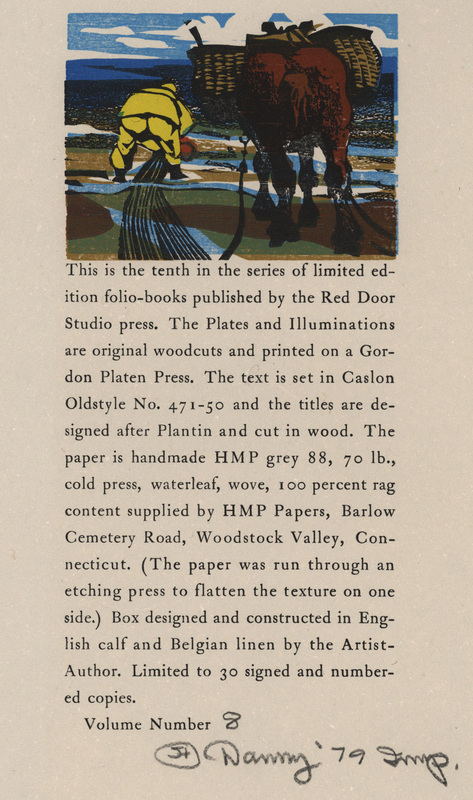 The plates and illuminations are original woodcuts and printed on a Gordon Platen Press. 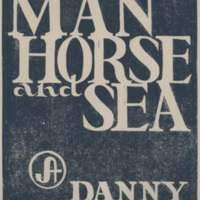 The text is set in Caslon Oldstyle No. 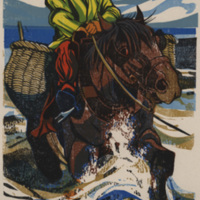 471-50 and the titles are designed after Plantin and cut in wood. The paper is handmade HMP grey 88, 70 lb., cold press, waterleaf, wove, 100 percent rag content supplied by HMP Papers... (The paper was run through an etching press to flatten the texture on one side.) 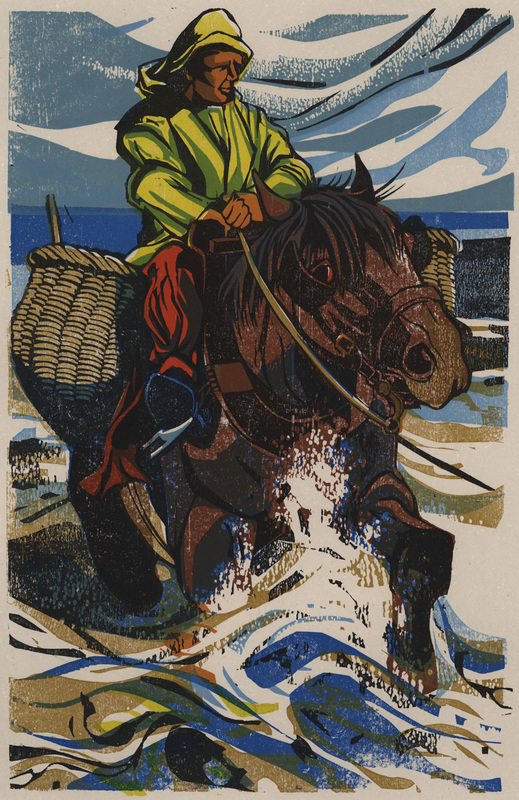 Box designed and constructed in English calf and Belgian linen by the Artist-Author." -- Colophon. 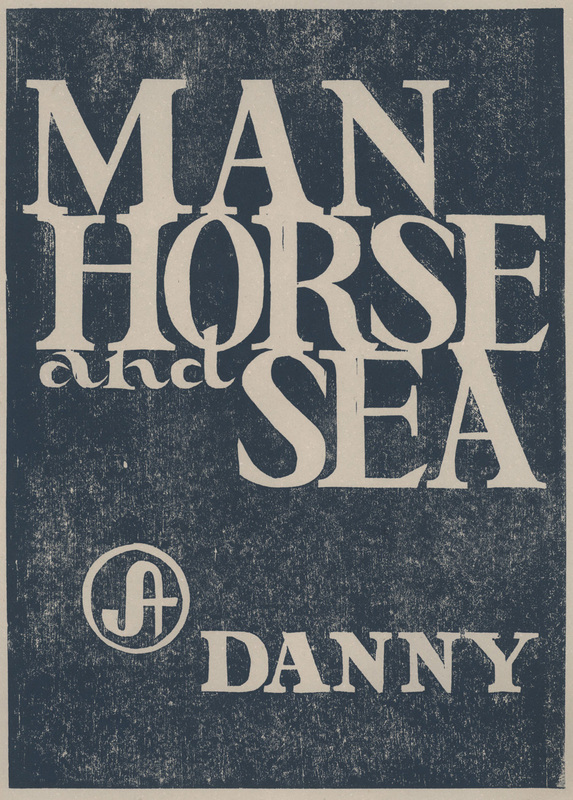 Pierce, Danny, “Man, Horse, and Sea,” Digital Exhibits - UWM Libraries Special Collections, accessed April 22, 2019, http://liblamp.uwm.edu/omeka/SPC2/items/show/229.